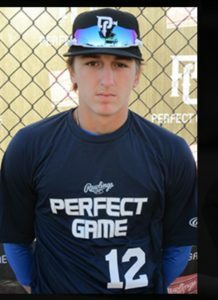 We would like to congratulate Adam Pahos on his commitment to Southeastern Community College! Here are Adam’s recruiting story and interview after his commitment. Good luck as a Blackhawk! I started my journey in early 2017, we didn’t have much knowledge of the college system and how to reach out to college coaches and get the process started. The process is shorter than we first expected, we thought we would have to commit to a school before the new year which we now know isn’t the case. I committed to my school on 4/17/2018. SportsForce helped by giving us the tools to be able to reach numerous college coaches in the United States, despite being from Australia. They helped put together a good highlight video and quality advice on how to email and talk to the coaches. Start the process early so you aren’t in a big rush to find a place. Start collecting lots of game footage as well as training footage that will help show off your skill set. I am very excited to go to college, it has been a dream of mine ever since I found out about college baseball in America and am very excited to start this new chapter in my life. I would recommend SportsForce to any other student-athlete because they are very knowledgeable in the college scene, were easily accessible to talk to at any time and make the search for a college very easy. 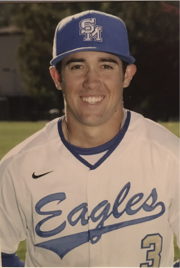 We would like to congratulate Angelo Zorn on his commitment to Occidental College! Here are Angelo’s recruiting story and interview after his commitment. Good luck as a Tiger! I was recruited by some Division 3 liberal arts schools which I had mutual interest with. I visited these schools the summer after my junior year of high school and chose to apply early to a small school in PA. The school was on the east coast, it was a small liberal arts school, and I was told I would be a contributor on a winning team right away — three things I highly desired in my school, so it seemed like a good fit. Unfortunately, I did not get admitted to the school ED and had to search some more. Application deadlines for the regular decision were approaching so I put together applications to other schools I had been talking to, in hopes of getting in on my own. 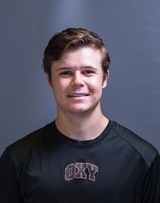 After gaining acceptance to Occidental College I spoke with the Head Coach Luke Wetmore and he said that from what he’d seen I would have a good shot of making the team for the next spring. I had sent him my SportsForce video. Oxy was high on my list of remaining schools and I decided to enroll. I made the team in the fall and look forward to a successful spring. 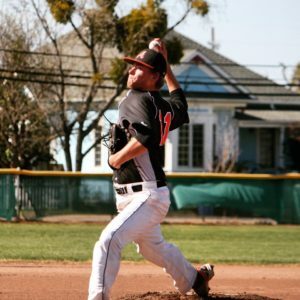 I am going to Occidental College because it is a small liberal arts school with intense academics mixed with a winning baseball program and excellent coaching staff. It offers a good balance of sports with school which will help me grow into the person I want to be. SportsForce helped set up a webpage with all my information and accomplishments as well as a video which I could send to coaches at schools I was interested in. The skills video that SportsForce put together showcased the right skills of mine which were attractive to coaches. Another great thing that SportForce helped set up for me was a personal recruiting e-mail that I used to communicate with coaches and SportsForce even helped introduce me to college coaches that were effective in gaining interest. I would advise future players to reach out to the coaches at schools they are most interested in early in high school and tell them that you have interest in their school and inform them about events that you will be at to show your skills. The most important thing is to work as hard as you can at your game and stay focused on always getting better because that is what coaches are looking for. I’m very excited for my future at Oxy. I want to make my teammates better and contribute to the team’s success. This season is going to be an everyday grind with a lot of baseball and still reaching high academic success. I plan to study Math and Economics and gain some work experience to prepare for my life after baseball as well. I would recommend SportsForce to other student-athletes because their advisors are helpful and knowledgeable about the new ways that recruiting works. They understand and teach you the best ways to be recruited by the schools that you want to go to most. Take advantage of their expertise as much as you can because SportForce is there for you! We would like to congratulate Phillipe Roy on his commitment to VCU! Here are Phillipe’s recruiting story and interview after his commitment. Good luck as a Ram! It all went from slow and talking to some schools and then I played in some big tournaments which helped generate some interest and calls from a lot of schools. I was then invited to a few camps. One of the schools I went to was VCU (Virginia Commonwealth University), after my visit and camp, I fell in love with the school and felt it was the best spot for me. I’m going to VCU because I love the coaching staff and the way they play the game. I also loved the campus and the environment around the campus. The facilities are top grade and the coaching staff was really proactive in talking to me all the time. I think I’ll be able to play when I get there, which was very important to me. They helped by assisting me in contacting colleges and sending my video to different colleges which generated interest from them. They also helped me with phone calls and preparing for campus visits. 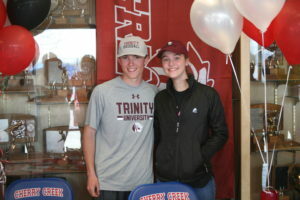 They gave me advice on what to ask college coaches and also helped with my final decision-making process. Go to some showcases and start being seen by colleges, while also sending out videos to them. Try not to rush your commitment, take the time to make sure the college is the right fit for you. I’m really excited about going to VCU and learning there and trying to win a lot of games with them. Yes, I would because they helped so much with just talking to coaches and contacting them and kind of giving you guidelines on what to say and do when talking to coaches. They also provided guidance in sending out videos to different colleges and when/how to call them. SportsForce was helpful in gauging the college coaches’ interest and what steps to take in order to get more interest. 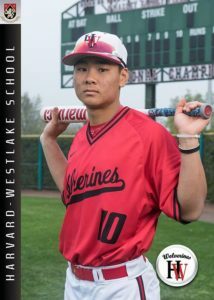 We would like to congratulate Calvin Koo on his commitment to Claremont McKenna! Here are Calvin’s recruiting story and interview after his commitment. Good luck as a Stag! The recruiting process for me really started during the fall of my junior year when I participated in my first official showcase. This was where I met Ryan and SportsForce. Ryan and the awesome SportsForce team helped me get myself on the recruiting map by starting off with an intro recruiting email to send out to my list of colleges and a recruiting video. They also helped me make this list of schools and it was only after I met Ryan that I really understood what school was the best fit for me both athletically and academically. I started to receive feedback from schools and I felt well prepared going into my important junior year summer. While I had contact with many schools, Claremont McKenna reached out very early in the process as Coach Walkenbach first saw me at a GBG Scout Day in the first month of summer. I attended a Headfirst Camp, Stanford Camp, Arizona JO’s, and two specific college camps on the East Coast during the summer. Ryan and SportsForce helped me along the whole journey. After Stanford Camp ended in July, Coach Walkenbach at CMC gave me my first offer during this time. I officially committed in September of my senior year. I am committed to attend Claremont McKenna College and I chose this institution because of the balance between strong academics and competitive baseball. I love the atmosphere and the people at Claremont and I highly respect Coach Walkenbach and his vision for the program. 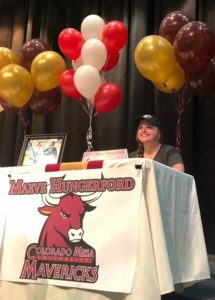 SportsForce helped in the process by helping formulate my list of schools, sending out emails, and creating videos to send to college coaches. 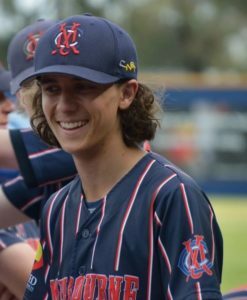 SportsForce really helped me just concentrate on just playing baseball and not have to worry too much about the more intricate details of the recruiting process. The most important advice of the recruiting process would be to truly find the best fit for you as a student-athlete. Before getting help, I didn’t really understand what school was the best fit for me and I fell into the trap of only looking at prestige or renown. Once I really understood what type of school was personally the best fit for me, I was able to commit to what I was doing instead of having to hop around from showcase to showcase. In addition, this clarity helped put me at peace as to whether I was rejected or offered by any of the colleges on my list. There were no “what-ifs” or regrets when I made my final decision. Furthermore, coaches want players who are genuinely interested in attending their school because this passion is what wins championships. If you are aiming for a school you truly want, this genuine interest will naturally be evident and it will not only be better for appeal but your own commitment to the process as well. I am extremely excited to attend CMC and am blessed to be able to look forward to my future. I would recommend SportsForce to other athletes because of the time and energy that you save by focusing on a more efficient approach to recruiting. SportsForce helps you not waste time on pointless showcases or unhelpful emails and really targets on important tasks such as making a recruiting video and attending beneficial showcases. Ryan is not just an extremely helpful recruiting counselor, but also a person, friend, mentor, and coach. He really helped me along the process in various ways, not just recruiting but as a coach and helped me develop as a player and person. I would like to truly thank him for his help. 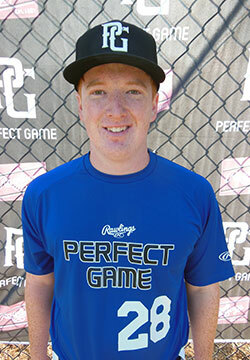 We would like to congratulate Wyatt Tucker on his commitment to UC Davis! Here are Wyatt’s recruiting story and interview after his commitment. Good luck Aggies! I began the recruiting process during the fall of my senior year and received attention from many schools from all divisions. Ultimately I decided to attend the College of San Mateo for my first 2 years. Now I am transferring to UC Davis! I recently signed to play at UC Davis. I chose them because of the college town feel and great academics. Playing in a competitive D1 conference like the Big West has always been a dream of mine, so UC Davis is the perfect fit for me. SportsForce helped me initiate and maintain contact with college coaches. They taught me how to effectively communicate via email and phone, along with helping me know what questions to ask. The knowledge I gained from everyone at SportsForce made the stressful recruiting process much simpler. SportsForce staff was always available to guide me through conversations with coaches which was especially helpful when I was asked questions I did not particularly know how to answer. My advice to other players and parents is to initiate contact with coaches as soon as possible and to be persistent. Often a single email is not enough and must be followed by additional emails or phone calls. It is easy to be discouraged if a coach is not interested, but can also be a valuable learning experience when looked at from the right perspective. I am very excited about UC Davis. I am counting down the days until I arrive on campus and meet my new teammates! I would definitely recommend SportsForce to all student-athletes looking to play at the next level. The knowledge and expertise SportsForce provides are unparalleled. Without the help of SportsForce, the recruiting process would have been much more difficult. I am very grateful for all the help I received from SportsForce!